Sarah Reckhow is an Assistant Professor in the Department of Political Science at Michigan State University. Her research and teaching interests include urban politics, education policy, nonprofits and philanthropy, and racial and ethnic politics. Reckhow's work on urban schools has focused on policy reforms in New York City, Los Angeles, Oakland, and Detroit. Her award-winning book with Oxford University Press, Follow the Money: How Foundation Dollars Change Public School Politics, examines the role of major foundations, such as the Gates Foundation, in urban school reform. Reckhow was recently awarded a research grant from the W.T. Grant Foundation (with Megan Tompkins-Stange) to study the use of research evidence in the development of teacher quality policy debates. She has recently published articles in the Journal of Urban Affairs, Policy Studies Journal, and Planning Theory. Reckhow is affiliated with the Global Urban Studies Program and the Education Policy Center at Michigan State. 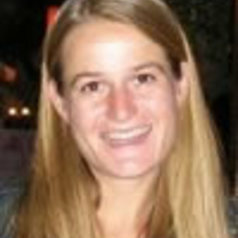 She received her Ph.D. from the University of California, Berkeley in 2009. Previously, Reckhow taught history and government at Frederick Douglass High School in the Baltimore City Public Schools.